Titre original : Mr. Penguin's Dilemma! / Idol: Yama Arashi! As Penguin is put under the pressure to choose one of the Penko sisters, Llama helps him to differentiate between them, but this soon backfires. As the pressure builds, Panda questions the Penko sisters on why they like Penguin, leading them to realize they don't like Penguin after all. 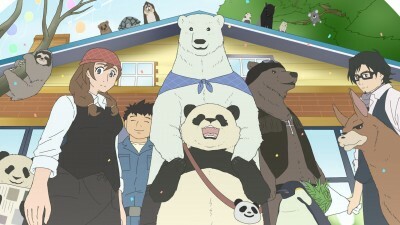 Later, Panda Mama goes with King Penguin Mama to a concert by porcupine pop group Yama Arashi (which is based on the Japanese pop star group Arashi).